If the governments can deliver on even half of the deal's agenda items, the economies of both countries will benefit. In a time of global economic turmoil, that is significant, and welcome. However the 2012 U.S. elections loom large over these action plans and cast a chilling shadow over hope that all, or even most, of what is outlined in these action plans will be achieved. President Obama and Prime Minister Harper yesterday released the action plans (working agendas) for the U.S.-Canada Beyond the Border Working Group and the U.S.-Canada Regulatory Cooperation Council in Washington. For the first time since these two bilateral negotiations were launched by the leaders last February, citizens have the opportunity to see what the governments hope to achieve. The United States government has accepted that it can make changes to its border security policies exclusively with regard to Canada, abandoning the former "one border" rule that mandated a consistent approach at all U.S. borders. The U.S. government acknowledges in the action plan that user fees and compliance costs associated with border security policies are high and negative, and commits in the action plan to review these. It will work to simplify paperwork, make its documentation requirements simpler and more secure. And importantly, it pledges to do so in conjunction with Canada so that there is a consistency in the ways both governments gather data. Canada has agreed to merge its cumbersome trusted shipper program (Partners in Protection, or PIP, which required a Customs Self-Assessment for participation) with the U.S. Customs-Trade Partnership Against Terrorism (C-TPAT) so that businesses will be able to qualify using the same information and reporting send to both governments. The United States and Canada together acknowledge that the trusted traveller and trusted shipper programs they have instituted ask for a lot from participants, but have not delivered consistently the promised benefits in return (such as expedited border crossing), and will seek to improve on that record. The two governments note that in planning improvements and closures of border crossings, they have not always co-ordinated their respective plans, and will work to coordinate better. And the governments acknowledge concerns about citizen privacy and the need to improve systems for redress where individuals are wrongly barred from entry into the other country. Canada is making some big commitments: it plans to work on implementing entry record keeping and exchanging land, sea and air entry data with the United States, which will do likewise, allowing both governments to determine whether individuals deported from the country have actually left. Also, Canada is reviewing its investment in technology such as radio frequency tag readers (RFID) at land border crossings and hopes to match the U.S. for interoperability and consistency at major crossings. Both governments take interoperability seriously, and the action plans talk about the development of common or compatible risk assessment methodologies for cargo and passenger screening, co-ordinated critical infrastructure protection protocols -- especially for shared or border-crossing infrastructure. And emergency services personnel are to have compatible radio frequencies to enable better coordination in disaster response. The regulatory cooperation agenda is surprisingly rich. Picking up where the now-defunct Security and Prosperity Partnership (SPP) left off, there are specific agendas for co-operation on the regulation of agricultural products and food, transportation, health (both consumer health and workplace health) and nanotechnology. It is a focused agenda and specific enough to hold out the promise of real progress. Small business gets a major boost in the action plans as the governments agree to review and raise the threshold for low-value shipments. This means that companies that use FedEx or the postal service to deliver items to individual comsumers can avoid requirements to comply with NAFTA Rule of Origin documentation and other paperwork that has discouraged many small firms from engaging in cross-border trade. All of this provides a better picture of what the government intend, and it is an ambitious but realistic and credibly feasible to-do list. It is not, however, a final product. In the months ahead, government officials in both countries will begin talks on how to accomplish the goals set forth in the action plans. There are deadlines for progress reports, but no guarantee of agreement. Many of the most attractive ideas are being tried out in pilot projects that are formally launched in the new action plans, such as cargo pre-clearance at Massena, New York. Pilot project results will be reviewed by both governments, and in the best cases successful tests will be replicated all along the border to general benefit, but for now only a few communities and businesses will see changes, and these will be provisional. The two governments have in these action plans agreed to extend past pilot projects, such as traveller pre-clearance for rail and cruise ships departing from Vancouver, British Columbia -- taking an idea tried during the 2010 Vancouver Winter Olympics and carrying it forward. And the Shiprider program that puts officers on the other countries' vessels who ride along during patrols of the Great Lakes to allow an arrest to be made legally, in U.S. or Canadian waters is being extended and expanded. But pilot projects and future talks are vulnerable to a number of potential pitfalls that are a cause for tempering initial optimism about these action plans. First, the United States fiscal troubles loom and as U.S. government departments face potentially sharp budget cuts in 2013 and beyond, it is possible that resources for negotiations on these mutually agreed agendas, such as staff time and travel, will be squeezed or eliminated. And funds to implement pilot projects may be constrained, forcing the governments to scale back project or delay decisions. This connects to a second problem: the U.S. Congress. The agendas call for reviewing and restraining the growth of user fees and other charges that add to the cost of cross-border trade and travel, and yet Congress has encouraged these fees to add to federal revenue and avert further cuts to departmental budgets. 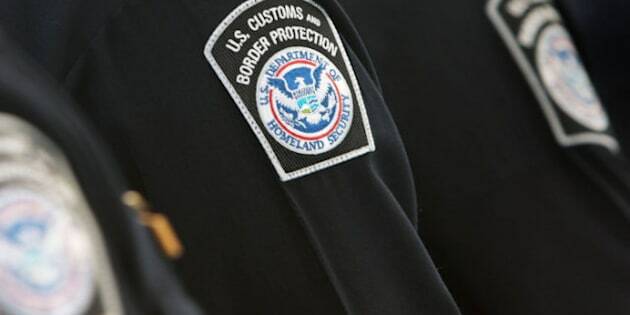 The agendas note inadequate U.S. staffing and investments in implementing many border and regulatory policies to date, suggesting that the governments believe more resources will be required and ultimately requested from Congress. And in a further complication, the governments have chosen initial pilot projects in these action plans, denying Congress the opportunity to deliberate and ultimately choose which congressional districts would benefit from them. The Obama administration should immediately ensure that Congress is fully-briefed on these action plans and encourage hearings by appropriate committees to solicit views on these U.S.-Canadian initiatives. There is also a third potential problem, which is building support among stakeholder groups. In a notable improvement on the Feb. 4 Washington declarations on border and regulatory co-operation that launched the process that resulted in these action plans, the governments have now formalized processes for consultation with stakeholders, and linked U.S. and Canadian consultations so that both sides hear the same things. Yet the maturity of the plans detailed in the action plans betrays the fact that they have been worked on for a long time and kept from the public for too long. As with Congress, the Obama administration will need to make a serious effort to build trust and follow through on past pledges of transparency and accountability for its bilateral talks with Canada. If the Obama administration can do this, it may prevent the current effort to foster border and regulatory cooperation with Canada from meeting the fate of the SPP -- cancellation following a change in the White House. The 2012 U.S. elections loom large over these action plans and cast a chilling shadow over hope that all, or even most, of what is outlined in these action plans will be achieved. But they represent a promising start, and if the governments can deliver on even half of these agenda items, the economies of both countries will benefit. In a time of global economic turmoil, that is significant, and welcome.